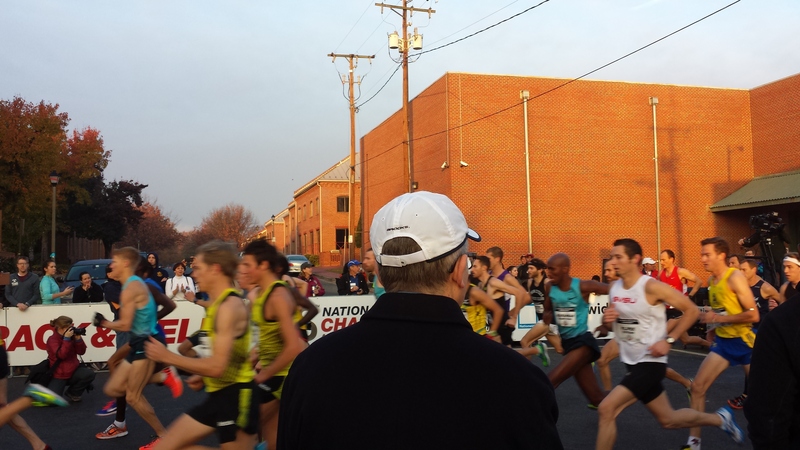 Last weekend, the US National 12k came to Old Town Alexandria for its second year bringing a slew of elite runners. Molly Huddle defended her title in the women’s race winning in 38:08 and Brian Shrader surprised everyone winning the men’s race in 34:11. 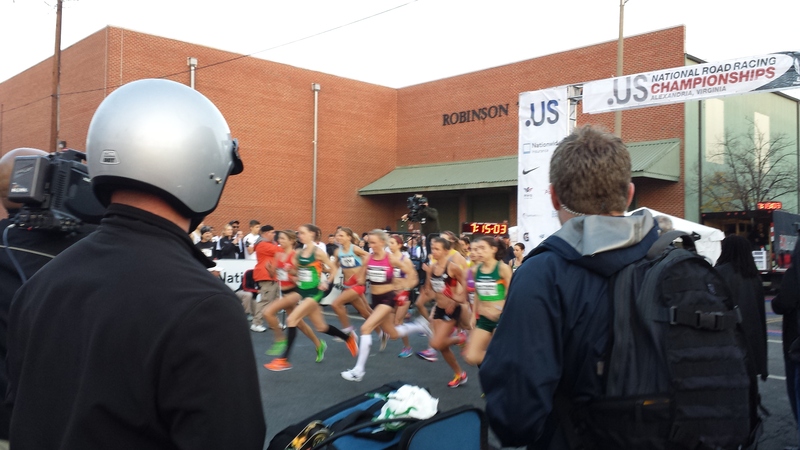 The race gives everyday runners a chance to toe the line with elites and is a really cool experience. Last year I volunteered in the elite check in area and ran their bags to them as they finished. 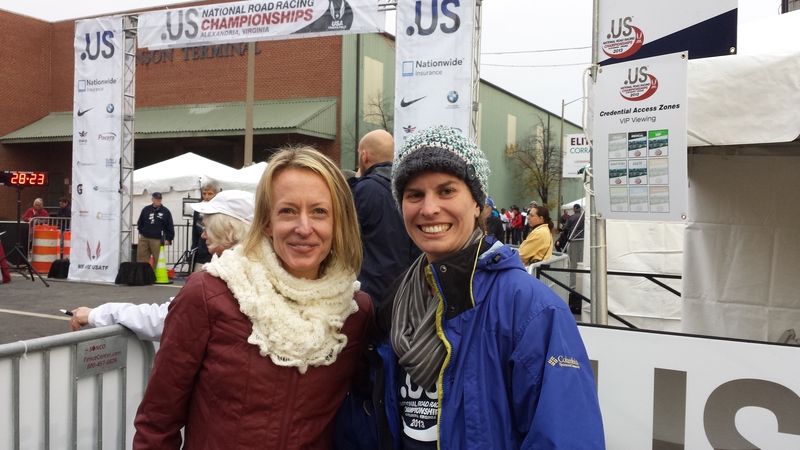 Oh yea, I also got to meet Deena Kastor as I cheered on runners at the finish. This year I decided I would participate on the running side. Being only one week after I got back from my honeymoon though, I knew I wouldn’t be up for a 12k that I would be proud of. 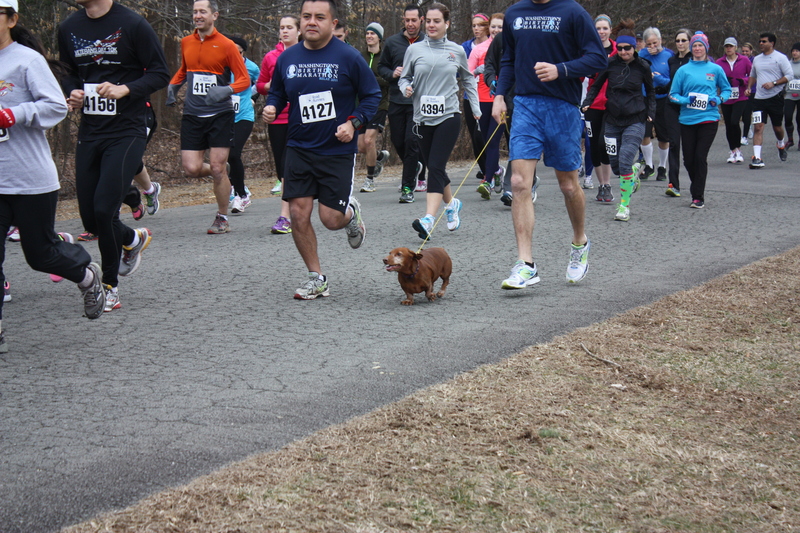 Along with the 12k though, there was also a 1-mile road race option and a kid’s race. I figured even being slightly out of shape, I could push through the 1-miler. The 12k ran first so the 9:30 start time for the 1-mile race was also appealing! Ian and I got to the race early so I would have plenty of time to get a warm-up in. I work in Old Town, so we parked near my office and walked to the start from there. I think our walk was as long as the race! As we neared the start though, I started to notice anyone else that had the same bib on as me looked to be under 10 years old. Panic set in as I was pretty sure I had signed up for a kid’s race. 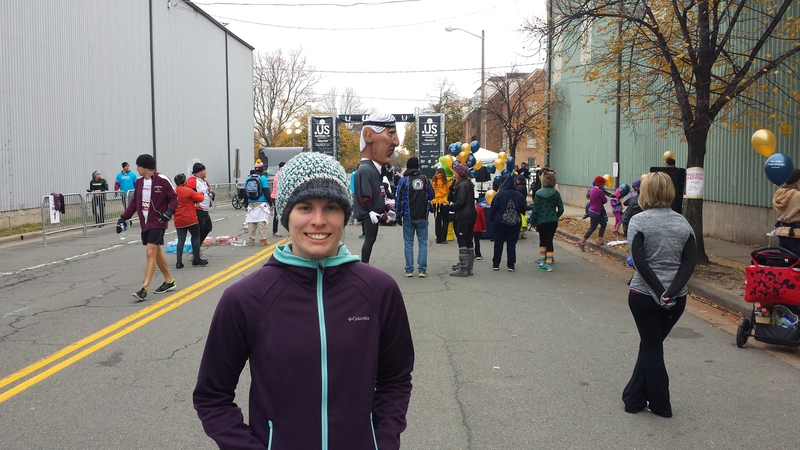 I refused to take my coat off and show my bib until I saw other adults – and not just ones racing with their kids. This definitely cut into my warm-up time, but oh well, I wasn’t in any shape to set a PR that day anyways, and it made for some good laughs. Thankfully more people my age did show up, so I wasn’t alone in getting shown up by a bunch of kids! That guy with the giant mascot head behind me – Woody Wilson – would go on to beat me. It was a touch demoralizing! 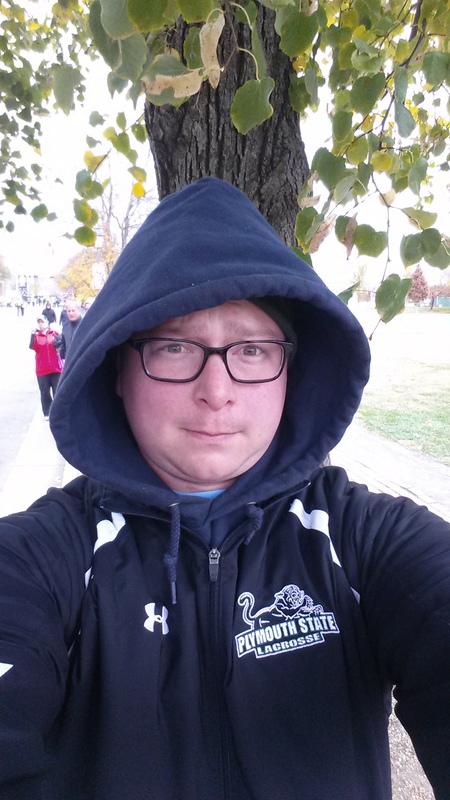 It was one of the first really chilly weekends here in DC, so I opted for my winter hat. 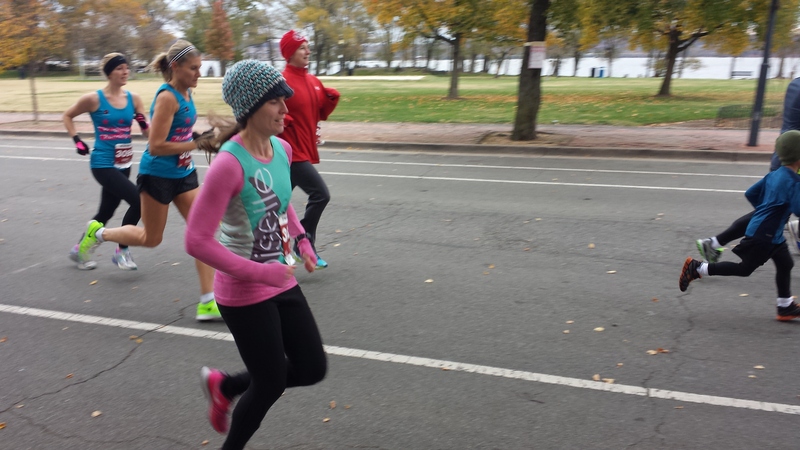 I wore my Oiselle flyte longsleeve under my singlet along with stride shorts and high compression socks. I definitely overestimated how warm out I thought it would be though as I never took my warm-up pants off and ran the race in them. It it were the 12k I probably would have been OK in the shorts, but there was just not enough time in the 1-mile to warm up! Ian headed down to about the quarter mile mark. It was a straight and flat out and back, so he was able to easily catch me going both ways. I know when he’s wearing a hoodie that it’s definitely cold out! I took off fast and paid dearly for it on the second half. I really didn’t think I could lose that much time in such a short race, but I did! I ran the first quarter at a sub-6 pace and was already slowing drastically before I reached the turnaround. For the last quarter mile I just kept telling myself to put one foot in front of the other and not slow down too much. According to my watch, which I didn’t stop until I cleared both finish line mats, I finished in 7:18. That’s about a minute off my PR in the mile, but I thought it was respectable for my week and a half back to running after a few weeks mostly off. My official results say I finished in 7:25. I don’t know why, but this really upset me. I know it’s only 7 seconds, but I know I finished faster than that. They have a set of pictures you can see on their site from the time you finished and I’m not in any of them. I would like to believe that is because something went wrong with the timing and I actually crossed the line 7 seconds faster! Regardless, I do love the adrenaline of shorter races like this and would love to find another one soon. I liked my track one-miler better, but I was also in much better shape for that one so I could be a bit biased! How about you? Have you done a 1-miler before? Was it on the road or on the track? 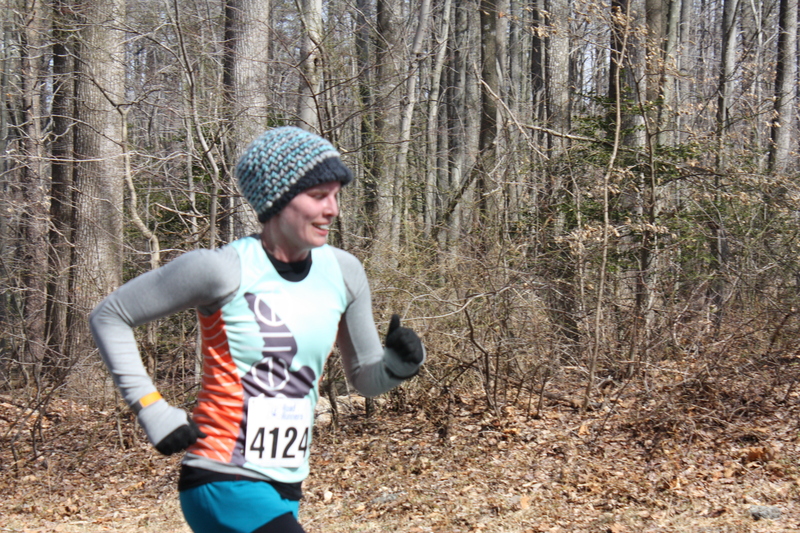 Better late than never, I finally got around to my Burke Lake 12k race recap. 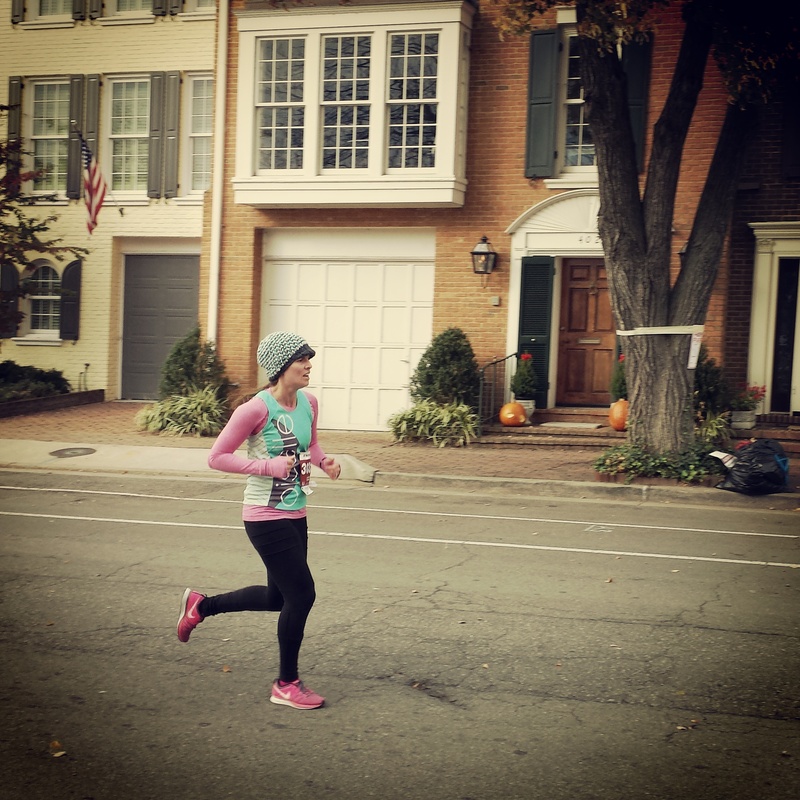 This race was part of the DC Road Runners Snowball Series back at the beginning of March. Being a member of DCRR, the race was free, so the price was definitely right. Not shockingly, based on my once or twice a week running schedule I had going on at the beginning of the year, this was not going to be a fast one. In fact, I finished just a few minutes ahead of my last 10 mile time (1:12:15)…yikes! I went in with the expectation that this would just be a run to enjoy, not race, and a plan to evenly pace myself. 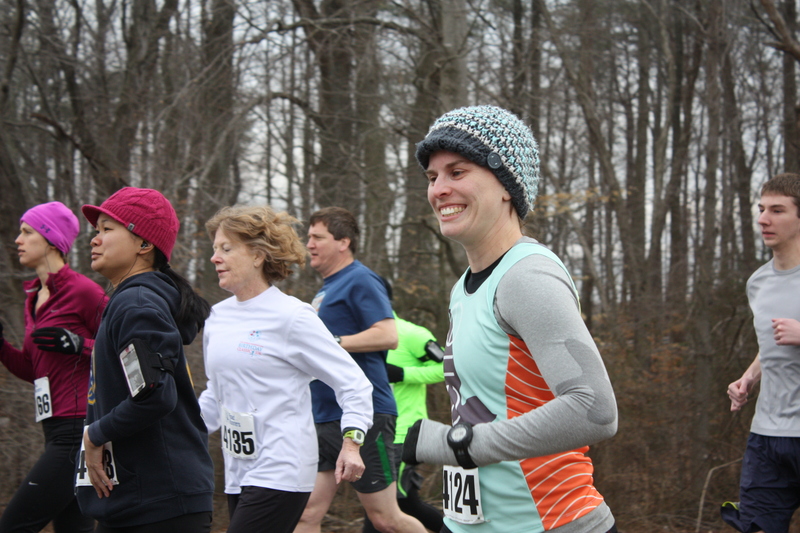 Off and running at the start with a smile! 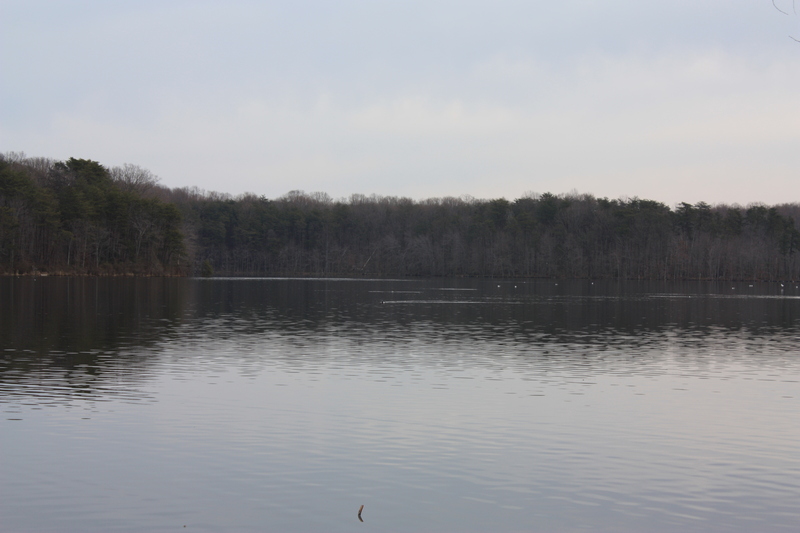 Burke Lake is only about a 30 minute drive from Arlington on the weekend, yet I had never made my way out there. I’m so glad I did. It was a bit brisk, but overall a nice, sunny day that could have been a whole lot worse with the winter we had, and the scenery was wonderful. 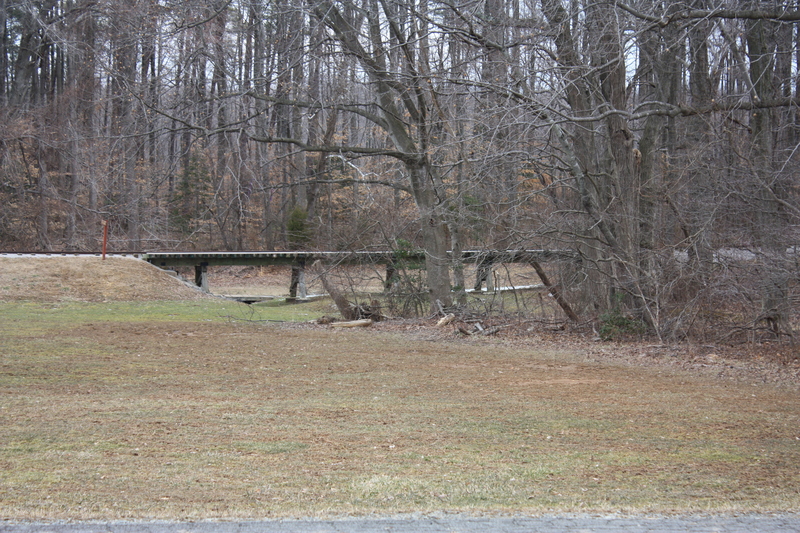 The race was an out-and-back almost completely around the lake starting in the parking lot near the ice cream parlor before entering the trail. It was a dirt trail that was pretty muddy that morning. It wasn’t very technical, making it my kind of trail run and also meaning I didn’t fall once, so there’s a positive. 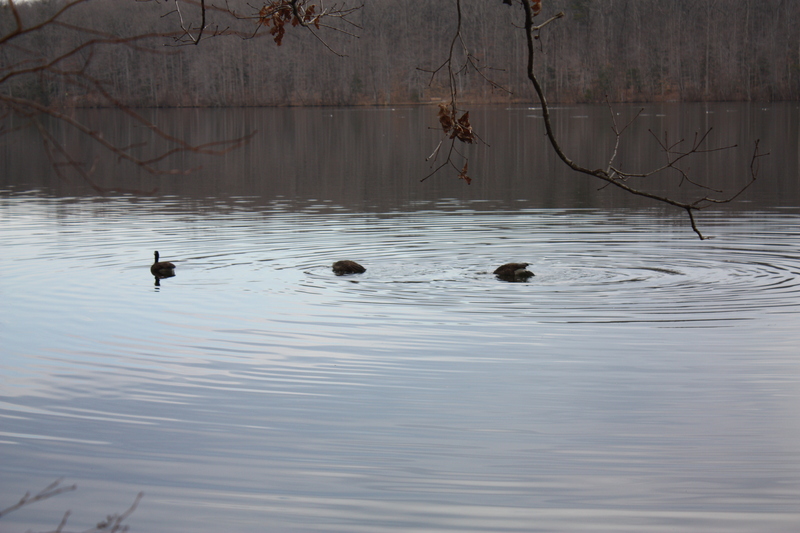 I also really liked running around the lake making it pretty hard for even me to get lost. Final uphill to the finish. I’m so glad I found this new-to-me running spot so close to home and hope to get more runs in there throughout the year. I also hope to go back and race this next year when I’m in better shape. I continue to really enjoy these smaller DCRR races! 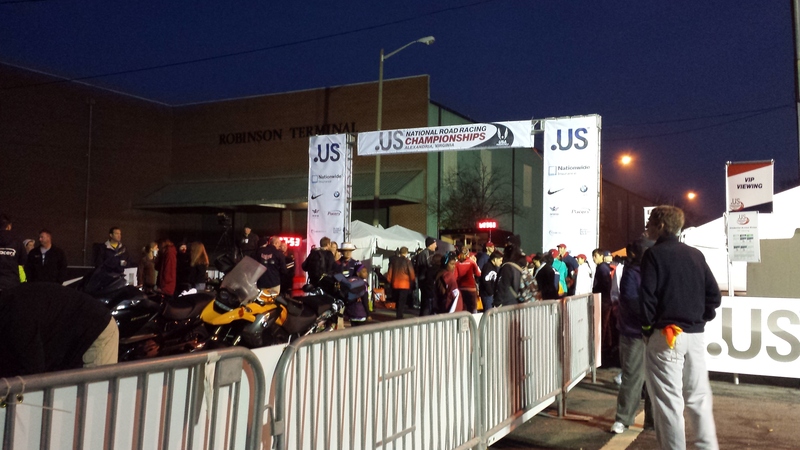 On Sunday I volunteered to help out at the U.S. National Road Racing Championships right here in Alexandria. The day started with a 5k followed by the 12k women’s championships and the 12k men’s championships and community race. I checked in at the volunteer tent at 5:30 in the dark and jumped at the chance when they asked a few of the volunteers to staff the elite/masters area. 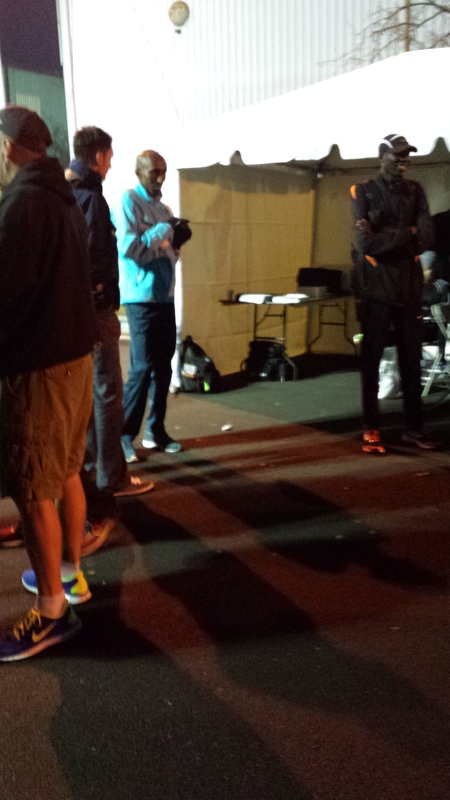 Shalene Flanagan, Abdi Abdirahman, Molly Huddle and more amazing runners were going to be there! Ahh! I also spotted Oiselle Haute Volee runner Caitlin Comfort! Naturally I was too nervous to go up and say anything to any of them – not to mention I didn’t want to mess with anyone’s pre-race prep, so instead I wandered around in awe and tried to do my assignment of keeping people who weren’t supposed to be in the VIP area out. I probably didn’t do a very good job of this, but I was a bit better at running checked bags to masters finishers after they crossed the line and worked their way through the finisher’s chute. 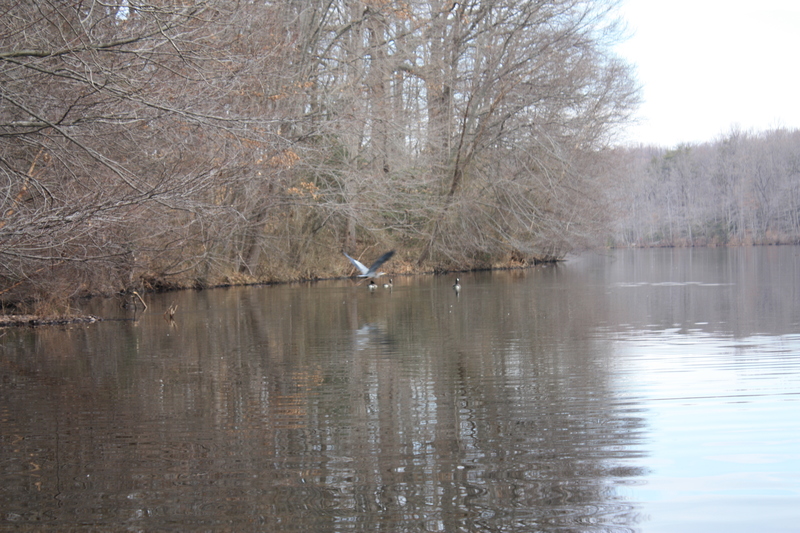 It was such a cool day. 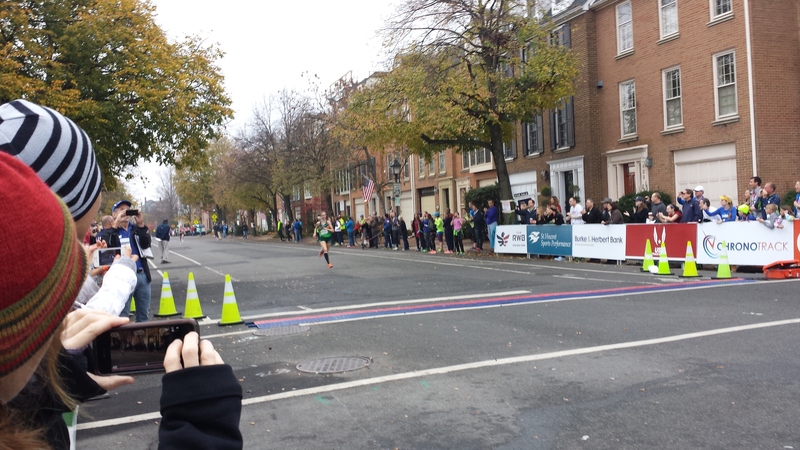 I got a front row seat at the finish line to see Molly Huddle beat out Shalene Flanagan and set a world record in the process finishing in 37:50. 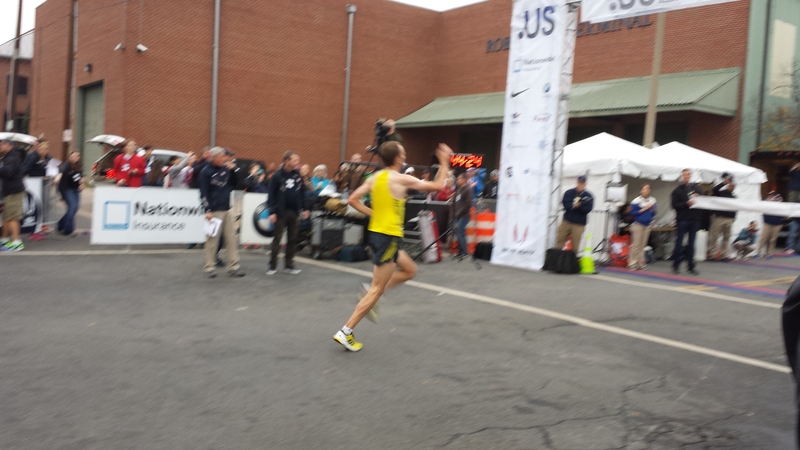 Aaron Braun nearly broke an American record in the men’s race as he coasted to the finish in 34:28 waving to the crowd. 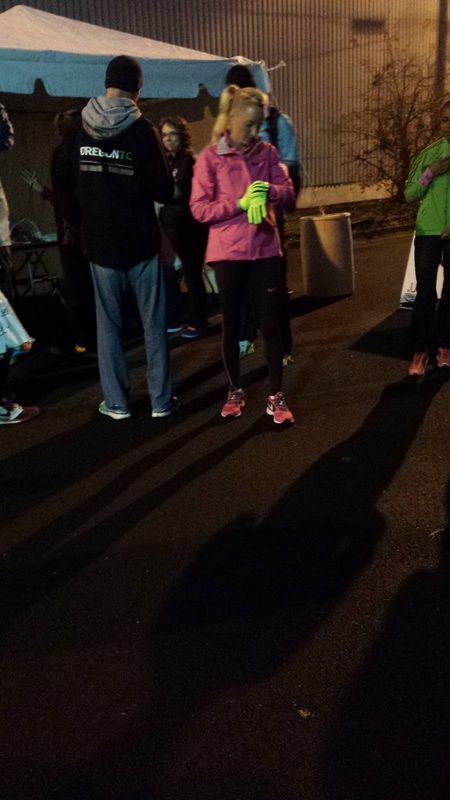 To top it all off, Deena Kastor was at the race. It was her record that Molly broke. She holds the American records for the fastest marathon and half marathon among others and is one of my running idols! I was so excited to get to meet her and talk for a minute, and she graciously took the time to take a picture with me too totally making my day!